Sony’s God of War Launch Countdown: Giveaways and a PS4 Pro Bundle! Home News Sony’s God of War Launch Countdown: Giveaways and a PS4 Pro Bundle! 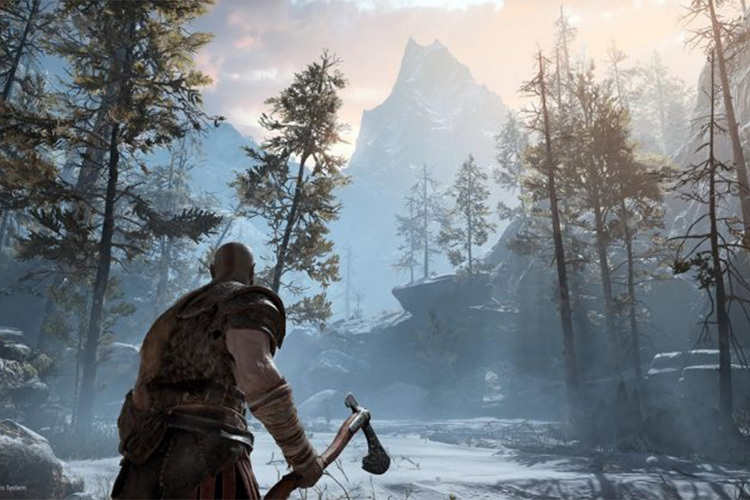 The massively popular, open-world hack-and-slash, mythology based game God of War is coming to the PlayStation 4 next week. The game is one of the most popular PlayStation exclusives of all time, and the latest installment of the franchise is coming soon, with only 6 days to go before players get their hands on it. Fans and players will be able to win God of War themed avatars. The company has planned three avatar giveaways, with the first one going live today, April 13. Interested players will have to log in to PlayStation Live and complete a quest between April 13 and April 19 in order to earn the avatar. The second avatar will go live on April 15 and follows the same rules. The third avatar though is a little more exclusive and involves players having to watch the live stream, in order to complete the quest. There are more rules that you can check out on the official website. Sony is offering up a PS4 Pro God of War Bundle for sweepstakes. Users will have to log in on the PlayStation Live website between April 12 and April 19, complete a quest, and then watch the launch live stream on April 19 to click on the sweepstakes tab. Those who do this will be automatically entered into the sweepstakes for the PS4 Pro bundle, along with other items including a Gold Wireless Headset. However, sweepstakes are only applicable for players located in the United States. Reviews for the game are already in, and it looks like one hell of a masterpiece, with gaming websites like Polygon giving it a perfect 10, and Gamespot calling it “Just shy of a masterpiece.” It’s clear that the game will be a hit, and fans will be lining up to get their hands on it.